I was initially going to leave out blogging about New York Fashion Week, due to my mocks being on etc. But when I saw this collection, I just had blog it! 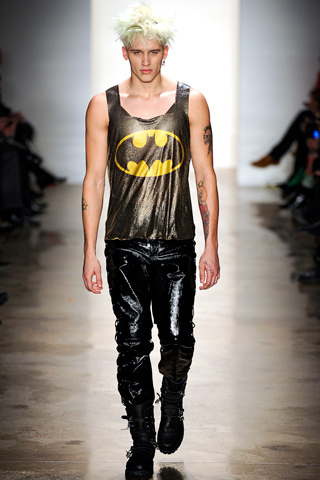 As you're all aware, I adore Jeremy Scott. 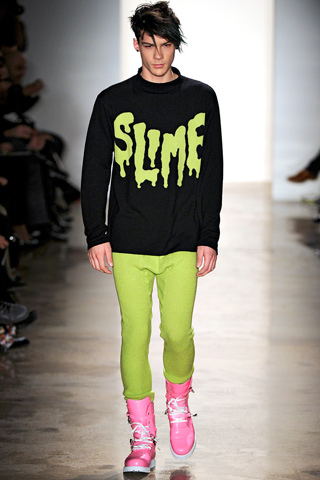 I never have anything but praise and awe for his collections, and Fall/Winter's collection is just.. wow. When I first looked through the full collection, the same image/idea kept popping into my head.. it all reminds me of a Sims game I used to play called 'The Urbz'. There was this city in it, that was all Tokyo-Harajuku/90s inspired (the name has completely slipped my mind) and this collection is EXACTLY like it. 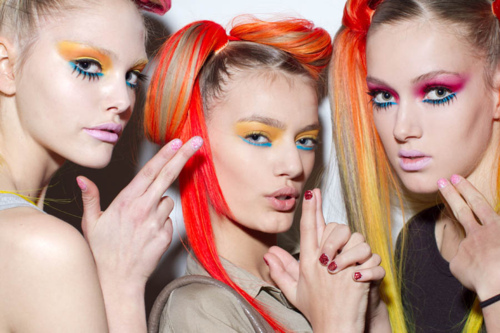 The neon brights, the mixtures of textures (plastic and angora) and the comic vibe throughout. In the collection you'll spot the black-sheer dress with a neon-pink fur skirt, that Hayley Williams wore to the Grammy Awards. Not a big fan on the dress myself, what do you all think? 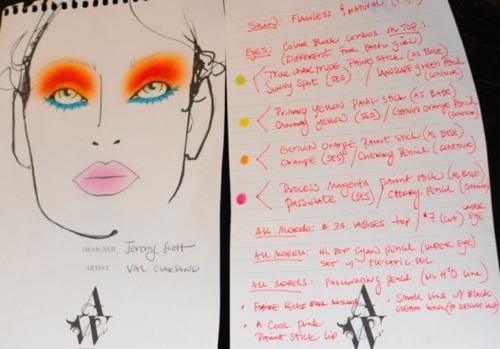 The models were made-up perfectly to play the part, neon make-up and hair extensions were seen on each female model, which was so fresh and fun! One thing's for sure, neon is making a BIG comeback this year! I don't know whether to be scared or excited.. 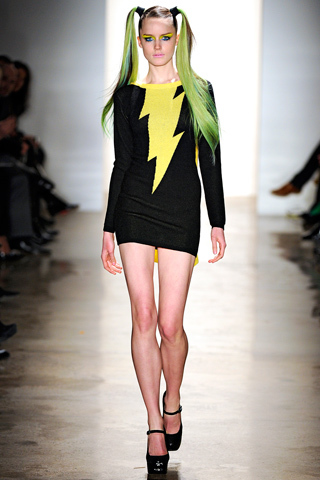 However, Jeremy Scott is an utter genius, he is definitely my favourite designer at the moment. 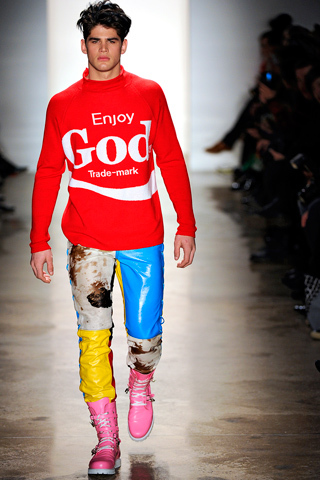 As he says himself; 'Have fun with fashion!' Oh what I'd do to attend one of his shows..